Lawful Physician-Hastened Death, Hearing Loss and Cognitive Impairment, Extended-Release Amantadine, Fibromyalgia Biomarkers, Phase 3 Trial of Rimegepant for Migraine, A Blood Test for Concussion, and more. The Ethics, Law, and Humanities Committee deliberated the issues for two years before unanimously recommending that the 1998 position be retired and issuing the new position, which also states that the committee undertook this difficult consideration while respectfully acknowledging that there remain cogent opinions on both sides of the issue. LPHD is the letter of the law in six states and the District of Columbia, and the position paper states that the position was taken in part because of a 2014 survey of AAN members in which a significant percentage of AAN members stated that they might feel bound by conscience to comply with the wishes of dying patients for assistance in hastening death. In the same survey, more than 70% of AAN members who responded from states where LPHD was authorized said they found participating in LPHD an “ethically permissible behavior,” and more than 50 percent of those same respondents said, “they would be willing to assist their patients in hastened death.” The Ethics, Law and Humanities Committee also recognized that the AAN was potentially providing conflicting guidance between their code of professional conduct that includes directives to relieve suffering and follow dying patients’ wishes and the existing 1998 Position Statement. 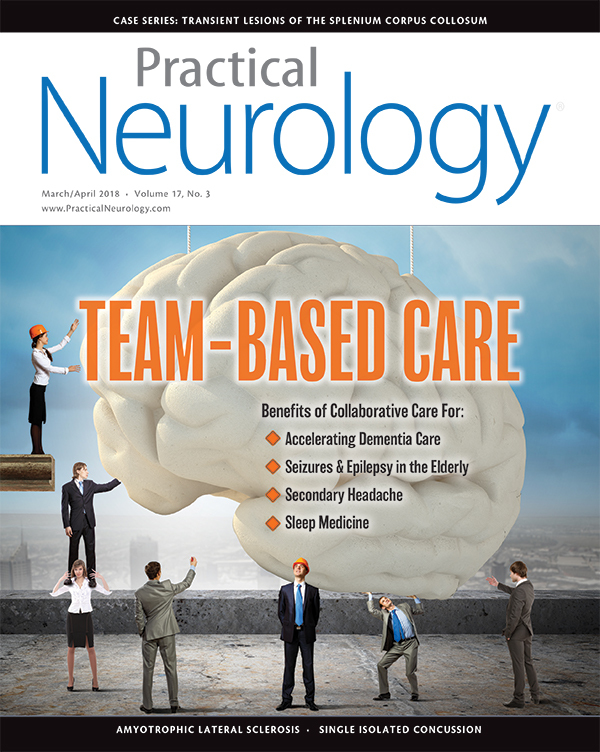 “The American Academy of Neurology is to be commended for supporting choice for their members who participate in ‘lawful physician-hastened death’ when acting on the behalf of their patients,” said Robert Varipapa, MD, Chairman of the Department of Medicine, Bayhealth, Kent Campus, Secretary and Board Member of the Medical Society of Delaware and member of the American Medical Association and the American Academy of Neurology. “The Ethics, Law and Humanities Committee did not consider this issue lightly, taking two years to carefully deliberate this important policy change.” (The views expressed in this quote are Dr. Varipapa’s and do not necessarily represent those of the American Academy of Neurology, American Medical Association, or Medical Society of Delaware). February 26, 2018—A preliminary study has been released that shows patients with central hearing loss, (ie, sensorineural hearing loss due to brain/brainstem dysfunction), are twice as likely to have mild cognitive impairment (MCI). Hearing loss is common in people over age 65, affecting approximately 1 in 3 adults; central hearing loss is less typical, affecting closer to 1 in 10 adults at age 65. Participants in the study were an average of 75-years-old and were all enrollees in the population-based Great Age Study, which is being conducted in Southern Italy. Researchers evaluated subjects for cognitive functioning; peripheral age-related hearing loss, caused by inner-ear and auditory-nerve dysfunction; and central hearing loss. Of the 1,064 participants, 33% had MCI, 26% had peripheral hearing loss, and 12% had central hearing loss. Those with central hearing loss were more likely to have MCI compared to people with no hearing loss. Of the 192 people with central hearing loss, 75% had MCI compared to 60% of participants without hearing loss. Participants with peripheral hearing loss were no more likely to have MCI than participants without hearing problems. Researchers also found that those participants who had more difficulty understanding speech also had lower scores on tests of cognitive functioning. February 13th, 2018—Digital Health Solutions (DHS; Indianapolis, IN), the Child Neurology Foundation (CNF), and Greenwich Biosciences (Carlsbad, CA) began a collaborative effort to develop a digital tool that will prompt providers to communicate with caregivers of children living with epilepsy about the risk of sudden unexpected death in epilepsy (SUDEP) and associated risk factors. The Centers for Disease Control and Prevention reports that there are 470,000 children living with epilepsy in the US. In April 2017, the American Academy of Neurology (AAN) published a guideline codeveloped with the American Epilepsy Society and the International Child Neurology Association that strongly recommends health care providers share information about the rare risk of SUDEP and the risk factors for SUDEP with parents and caregivers of children living with epilepsy. Development of a high-tech screening tool for tracking risk factors of SUDEP is intended to promote such communication. Specifically, the AAN guideline cites research showing that, subject to cultural influence, people with epilepsy and their families prefer to know about the risk of SUDEP, even when probability of such an event is low. The recommendation notes that although this information can cause anxiety that can be lessened by noting the risk is rare and discussing the number of people per year who do not experience SUDEP as well as the number who do, which is approximately 1 in 5,000. The guideline goes on to discuss the risk factors for SUDEP, which include, but are not limited to, having 3 or more generalized tonic-clonic seizures per year, sleeping in a room alone or without remote monitoring for patients younger than 10 years, and having uncontrolled epilepsy. The latter of these makes the case for the importance of adherence to treatment. Executive Director of the CNF, Amy Brin Miller, had informed Greenwich Biosciences that parallel surveys of families and health care providers in 2016 and 2017 revealed a substantial disconnect in that families wanted to discuss the risk of SUDEP with their pediatric neurologists, but instead were more likely to go to a peer or the internet. Historically, providers have shied away from these discussions due to concerns about increasing anxiety for the family or caregiver. CNF and Greenwich Biosciences are collaborating with DHS to use their software, the Child Health Improvement through Computer Automation (CHICA), which helps physicians proactively identify problems faced by their pediatric patients. CHICA captures patient- or family-reported information via a questionnaire administered on electronic tablets and integrates that information with the electronic health record (EHR). The announced collaboration aims to include risk-factors for SUDEP in the questionnaire so that the clinician may then be prompted by EHR software to initiate a discussion about risk factors for SUDEP with the patient and/or their family and caregivers. CNF will integrate child neurology expertise in the development of the SUDEP module as well as provide patient education materials on SUDEP and opportunities for caregiver peer support. DHS will test the system in five clinics in the Indianapolis-based Eskenazi Health System to measure its efficacy. March 7, 2018—Iquity (Nashville, TN) has announced the release of IsolateFibromyalgia, an RNA analysis of blood samples, for fast and accurate detection of fibromyalgia syndrome. These tests were developed using machine-learning methods to create algorithms that compare a patient’s RNA profile to that of healthy subjects and those with specific diseases identified with IQuity’s robust database of gene expression data. IQuity’s researchers examined approximately 600 samples from patients suffering from a number of conditions, including fibromyalgia, rheumatoid arthritis, systemic lupus, and clinically diagnosed depression, as well as healthy patients. Fibromyalgia is a disorder of the central nervous system disorder affecting between 6 and 12 million Americans with symptoms that include intense, and sometimes debilitating, pain throughout the body, fatigue, depression, and difficulty concentrating. Diagnosis has been difficult both because of heterogeneous presentations of the disease and because symptoms mimic several other diseases, including hypothyroidism, sleep apnea, rheumatoid arthritis, lupus, and malignancy. March 6, 2018—Biohaven Pharmaceutical (New Haven, CT) announced today the first patient enrollment in their phase 3 clinical trial of rimegepant (Zydis) for the acute treatment of migraine. Zydis is an orally dissolving tablet formulation of rimegepant, a potent small molecule calcitonin gene-related peptide receptor (CGRP) antagonist. Biohaven has been working with Catalent (Somerset, NJ) to develop new formulations of rimegepant, extending delivery options for CGRP antagonists. Biohaven has entered into an exclusive agreement with Catalent for the use of the orally dissolving formulation in the development of small molecule CGRP receptor antagonists. The phase 3 clinical trial aims to enroll 850 subjects in two groups, one treated with 75 mg of oral rimegepant and the other given placebo, to assess safety, efficacy, onset of action, and patient satisfaction for the fast-dissolve oral formulation of rimegepant. Biohaven expects topline results from its 2 pivotal phase 3 trials examining rimegepant 75 mg oral tablet efficacy versus placebo by the end of March, 2018 and topline results from the phase 3 trial with rimegepant Zydis ODT by the end of 2018. February 20, 2018—Stroke, a journal of the American Heart Association published an article by Alessandro Pezzine, Giorgio Busto, Marialuisa Zedde, et al., (Stroke. 2018:published online Feb 20) suggesting that migraine sufferers may more vulnerable to an infarction during the cerebral ischemia that may accompany migraine. These investigators examined the potential correlation between migraine and brain ischemia in a multicenter cohort of patients with acute ischemic stroke who had CT perfusion and were scheduled for reperfusion therapy. They compared the proportion of subjects with (n = 61) and without migraine (n = 61) who had mismatch versus no mismatch and for volume of penumbra salvaged and final infarct size. Patients with migraine had a higher proportion of no-mismatch (29.7%, P > .039) compared to patients without migraine (11.5%) and was also more prominent in patients who had migraine with aura. Migraine, especially migraine with aura, was independently associated with a no-mismatch pattern (odds ratio, 2.65; 95% CI, 0.95–7.41 for migraine; odds ratio, 5.54; 95% CI, 1.28–23.99 for migraine with aura). Patients with migraine with aura had smaller volumes of salvaged penumbra (9.8 ± 41.2 mL) compared both to those with migraine without aura and those without migraine. There was no difference in final infarct size among the 3 migraine subgroups (P = 0.312). The authors conclude that migraine may increase individual vulnerability to ischemic stroke during the process of acute brain ischemia and that this could represent a new therapeutic target. February 20, 2018—The Food and Drug Administration (FDA) approved Osmolex ER (Osmotica Pharmaceuticals; Bridgewater, NJ) an extended-release formulation of amantadine for the treatment of Parkinson’s disease (PD) and drug-induced extrapyramidal reactions (EPR) in adults. EPR are a side effect of several antipsychotics and antidepressants as well as a reaction to the long-term use of levodopa and other dopaminergic agonists. Osmolex ER is a proprietary formulation that contains a combination of immediate and extended release amantadine using Osmotica’s patented Osmodex technology. This formulation allows a daily-dose approach for treating PD and EPR. Dosage options include 129 mg, 193 mg and 258 mg tablets, with a maximum daily dose of 322 mg, providing dosing flexibility for each patient. This formulation is contraindicated in patients with a creatinine clearance < 15 mL per minute/1.73m2 and is not recommended for patients with pre-existing psychotic symptoms, which may be exacerbated by Osmolex ER. Side effects include daytime sleepiness. Patients should be monitored for these adverse reactions of dizziness, hypotension, and suicidal thinking or depressive symptoms, especially after starting OSMOLEX ER or increasing the dose. “The FDA’s approval of Osmolex ER provides a new treatment option for those patients suffering from Parkinson’s disease and adults who have extrapyramidal reactions, or movement disorders, that are caused by certain medicines. We are currently finalizing our plans to commercialize the product and ensure patients and providers have access as soon as possible.” stated Brian Markison, Chief Executive Officer of Osmotica. February 22, 2018—A preliminary study will be presented at the American Academy of Neurology (AAN) meeting in Los Angeles, April 21-27, that shows there may be a biomarker in tears for Parkinson’s disease (PD). Study author Mark Lew said, “We believe our research is the first to show that tears may be a reliable, inexpensive, and noninvasive biological marker of Parkinson’s disease.” The research team investigated proteins secreted by the lacrimal gland into the tear fluid as a potential measure of function for the nerves that innervate the lacrimal gland. Because PD affects these nerves as well as the central nervous system (CNS), Lew’s team hypothesized that changes in protein levels in tears could serve as a biomarker for PD. Tear samples from 55 people with PD were analyzed for levels of four proteins and compared to protein levels in tear samples from 27 normal control subjects of the same age and gender. Researchers found differences in levels of α-synuclein and oligomeric α-synuclein, which is an aggregated form of α-synuclein that has been implicated in nerve damage in PD. Researchers noted it is also possible that the tear-gland secretory cells produce different forms of α-synuclein that can be directly secreted into tears. The tears from patients with PD had decreased levels of α-synuclein (mean = 423 picograms per milligram [pg/mg] compared to tears from subjects without PD (mean = 704 pg/mg). However, levels of oligomeric α-synuclein were increased in tears from people with PD (mean = 1.45 ng/mg) compared to subjects without PD (mean = 0.27 ng/mg). Further research in larger groups of patients and controls will help investigate when these changes begin to occur to determine whether differences in the levels of α-synuclein and oligomeric α-synuclein can be seen at the earliest stages of disease or before symptoms are first seen. February 7, 2018—The drug P2B001(Pharma Two B) is a combination product of pramipexole 0.6mg and rasagiline 0.75 mg) given together once daily. Rasagiline is a monoamine oxidase inhibitor used to treat Parkinson’s disease (PD) alone or, more commonly, as an adjunct to treatment with levodopa. Pramipexole is a dopamine agonist often used in early-stage PD treatment with the goal of postponing initiation of levodopa treatment due to the significant complications of prolonged use of levodopa. Based on positive results from a phase 2b pivotal study that suggested efficacy and minimal side effects for P2B001 in early-stage PD, Pharma Two B designed and initiated a multinational phase 3 trial and today announced that the first patients in that trial had received their first doses of P2B001. The study is a twelve-week long, randomized, double-blind, double dummy, 4-arm, parallel study that explores the efficacy, tolerability, and safety of P2B001for patients with early-stage PD compared to rasagiline alone, pramipexole along, and pramipexole ER titrated to an optimal dose. Investigators from 70 international sites will enroll 525 untreated patients with early-stage PD and randomize them into one of the four treatment arms in the study. February 5, 2018—In a study published in Movement Disorders, Lagravinese and colleagues have shown that gait initiation in patients with Parkinson’s disease (PD) is affected by the presence of an emotional stimuli (Movement Disorders. 2018;33:published online February 2, 2018). Subjects with PD and frozen gait (n = 15), subjects with PD and without frozen gait (n = 15), and subjects with neither (normal controls, n = 14) were asked to step both forward and backward upon seeing a pleasant or unpleasant image. Stepping forward to a pleasant image is a congruent task with lower cognitive load than stepping forward to an unpleasant image, which is considered an incongruent task with high cognitive load. The reverse is true for stepping backward in response to a pleasant image. Researchers measured several aspects of gait initiation including reaction time, anticipatory postural adjustments, step size, and sway paths. They found that patients with PD and frozen gait had a longer reaction time and a shorter step size when stepping forward in response to an unpleasant image (incongruent task). Change in reaction time remained significant after adjusting for cognitive functions of their subjects. Changes in reaction time in the incongruent task also correlated with the frequency of freezing for subjects with PD and frozen gait. Frozen gait occurs in over half of patients with Parkinson’s disease and has a significant impact on patient’s mobility and in turn, their quality of life. This study suggests that the limbic system is involved in frozen gait, providing another therapeutic target for treatment of this aspect of PD. The study also suggests that mentally visualizing something pleasant during exercise programs may help patients with PD and frozen gait initiate gait, making exercise therapies more effective for those patients. February 13, 2018—Sandoz (Princeton, NJ), a Novartis division, announced that the Food and Drug Administraion (FDA) had approved a generic form of glatiramer acetate (Glatopa) in injectable form at a dose of 40 mg/mL 3 times per week for relapsing forms of multiple sclerosis (MS). The launch of this dose of glatiramer acetate by Sandoz provides patients a complete range of dosing options with a generic form of the drug. A 20 mg/mL dose was previously launched by Sandoz in June 2015. Glatiramer acetate injection 40 mg/mL is FDA-approved as a fully-substitutable, AP-rated generic version of Copaxone (Teva Pharmaceuticals; North Wales, PA) and was developed under a collaboration agreement between Momenta Pharmaceuticals, Inc.(Cambridge, MA) and Sandoz. Glatopa is produced in the US. “The approval and launch of Glatopa 40 mg/mL reinforces our leadership in delivering complex, differentiated generic products. We look forward to bringing this product to patients and healthcare professionals and providing a full range of patient support,” said Richard Francis, CEO, Sandoz. Sandoz patient services program GlatopaCare will offer a $0 co-pay support program to qualified patients and personalized injection training, as well as 24-hour access to nurses for Glatopa-related questions. Patients in this program will also receive a free starter kit that includes an injection device designed to work with prefilled syringes. February 1, 2018—EMD Serono, the biopharmaceutical business of Merck KGaA, Darmstadt, Germany, announced that new clinical trial data is being released during the Americas Committee for Treatment and Research in Multiple Sclerosis (ACTRIMS) meeting February 1-3, 2018. The results evaluate safety of cladribine tablets and the effect of cladribine on the immune system via post hoc analyses of 3 clinical trials, a phase 2 clinical trial, and a registry study. In the US, cladribine is currently under clinical investigation and not yet approved for any use. EMD Serono recently announced it will file a regulatory submission for cladribine tablets with the Food and Drug Administration in the second quarter of 2018. In the European Union and Canada, cladribine was approved in 2017 for treatment of highly active relapsing forms of multiple sclerosis (MS) as defined by imaging or clinical features of a patient’s illness. The drug is marketed as MAVENCLAD in these regions. Cladribine is thought to selectively and periodically target lymphocytes that are involved in the pathological process of relapsing MS (RMS). The new data presented in 6 posters at ACTRIMS, includes information regarding the effect of cladribine on: lymphocyte surface marker CD4+; B-cell, T-cell, and NK-cell counts; rates of lymphopenia during treatment; and rates of infection during periods of lymphopenia (Stuve O. ACTRIMS 2018: Poster Nos. 59 & 60, Cook S. ACTRIMS 2018: Poster Nos. 70 & 86, Soelberg-Sorensen P. ACTRIMS 2018: Poster Nos. 061 & 84). The results come from post hoc analyses of 3 phase 3 clinical trials: the cladribine tablets treating MS orally (CLARITY), the CLARITY-extension trial, the oral cladribine in early MS (ORACLE MS) study; a phase 2 clinical study, oral cladribine added on to interferon β-1a in patients with active relapsing disease (ONWARD), and a prospective registry study, prospective observational long-term safety registry of MS patients who have participated in cladribine clinical studies (PREMIERE). The PREMIERE study includes data from over 2,700 patients involved in the clinical trials and represents more than 10 years of observation for some patients and over 10,000 patient years total. February 7, 2018—Brainstorm Cell Therapeutics Inc. announced that they will present results from the NurOwn phase 2 randomized, double-blind, placebo-controlled study, showing ALSFRS-R subgroup analyses and micro-RNA biomarker data, at the American Academy of Neurology (AAN) Annual Meeting, to take place April 21-27th in Los Angeles, California. NurOwn Phase 2 ALS Trial: ALSFRS-R Improvement is Reflected in Subscale Domains. Session S38: Best of Session: Clinical Trial Updates in Neuromuscular Disorders on April 26, 2018. Presented by Merit E. Cudkowicz MD, Chief Neurology Service, Director Amyotrophic Lateral Sclerosis Clinic, Co-Director Neuromuscular Division, Massachusetts General Hospital. Modulation of CSF miRNAs in ALS phase 2 study participants treated with MSC-NTF cells (NurOwn). Session S25: Advances in Amyotrophic Lateral Sclerosis on April 24, 2018. Presented by Ralph Z. Kern MD, MHSc, Chief Operating and Medical Officer, BrainStorm Cell Therapeutics. “Our Phase 2 placebo-controlled trial demonstrated promising clinical activity for NurOwn in ALS, and the subgroup analyses confirm that ALSFRS-R subdomains contribute to this treatment effect. The CSF biomarker data confirms that micro-RNA released by NurOwn may contribute to its therapeutic effect in ALS,” said Ralph Kern MD, BrainStorm’s Chief Operating Officer and Chief Medical Officer. “We are pleased to have these scientific abstracts accepted at the prestigious AAN Annual Meeting, which is the largest North American neurology conference. We are committed to continuing to understand the value that NurOwn brings to ALS through innovative clinical and scientific evaluation, and to advance the phase 3 pivotal study to bring a meaningful solution to ALS patients,” commented BrainStorm’s CEO Chaim Lebovits. In October 2017, the Food and Drug Administration (FDA) approved ecluzimab (Soliris; Alexion, New Haven, CT) as a treatment for adult patients with generalized myasthenia gravis (gMG), who have tested positive for antibodies to the acetylcholine receptor (ACh-R). Patients with antibodies to the Ach-R comprise 5% to 10% of patients with gMG and are at increased risk for possibly life-threatening disease exacerbations. Eculizamab is the first new treatment approved by the FDA for gMG in over 60 years. Approval was based on the phase 3 REGAIN clinical trial. February 14, 2018--As part of the breakthrough devices program, the Food and Drug Administration (FDA) permitted marketing of the brain trauma indicator (Banyan Biomarkers, Inc; San Diego, California), the first blood test for a biomarker of mild traumatic brain injury (mTBI), or concussion, in adult patients. The breakthrough devices program paved the way for review and approval by the FDA in fewer than 6 months. This is a regulatory pathway for some low- to moderate-risk devices that are novel and for which there is no prior legally marketed device. The brain-trauma indicator measures levels of the proteins ubiquitin carboxy-terminal hydrolase L1(UCHL1) and glial fibrillary acidic protein (GFAP), which when found within 12 hours of injury can help predict whether or not a patient is likely to have an intracranial injury on CT or MRI. Results from the brain-trauma indicator are available 3 to 4 hours after a patient’s blood is drawn. In a multicenter prospective study of 1,947 blood samples, a positive measurement for UCHL1 and GFAP correlated with the presence of an intracranial lesion on CT in 97.5% of patients with such lesions. A negative result correlated with the absence of such lesions in 99.6% of patients who did not have lesions. These findings suggest this test may predict the absence of intracranial lesions and could be used to rule out the need for a CT scan in some cases. The Centers for Disease Control and Prevention estimates that there were 2.8 million emergency department visits in 2016 related to TBI (from mild to severe), and it has been suggested that as much as 75% of those visits are for mTBI. Currently, patients with suspected traumatic brain injury are evaluated with rating scales such as the Glasgow Coma Score or the Mayo Concussion Scale combined with brain imaging studies. A majority of patients evaluated for mTBI have negative imaging results. Availability of a blood test for concussion could reduce the use of CT and associated radiation exposure for patients with suspected mTBI.